Hull is a port city in East Yorkshire, northern England, located on the north bank of the Humber estuary. It was awarded the title of UK City of Culture in 2017 and I was interested to visit the city to take a look at its cultural attractions for myself and discover if the accolade was deserved. To make the most of our weekend in Hull we left home early and arrived into the city’s Paragon railway station shortly before lunchtime. 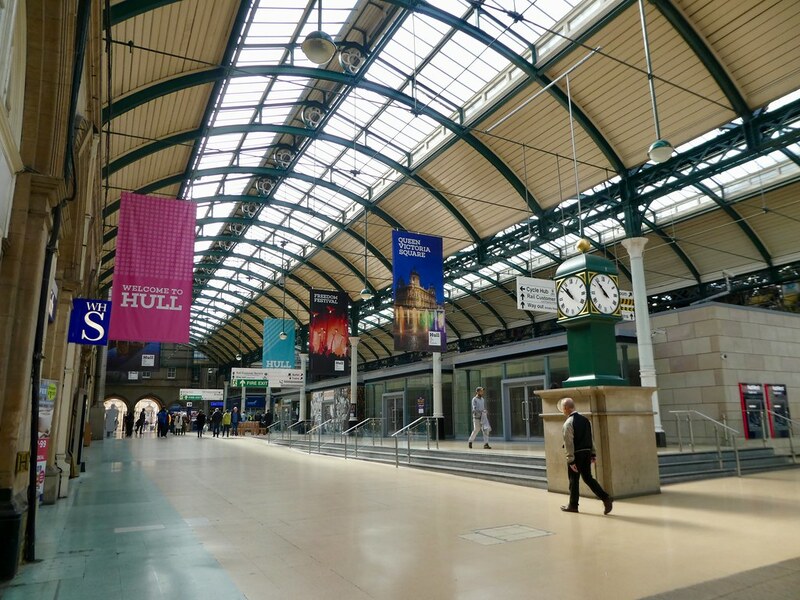 Brightly coloured banners along the station concourse proudly proclaimed the city’s cultural status and I was excited to begin exploring Hull as it was a city I was unfamiliar with. 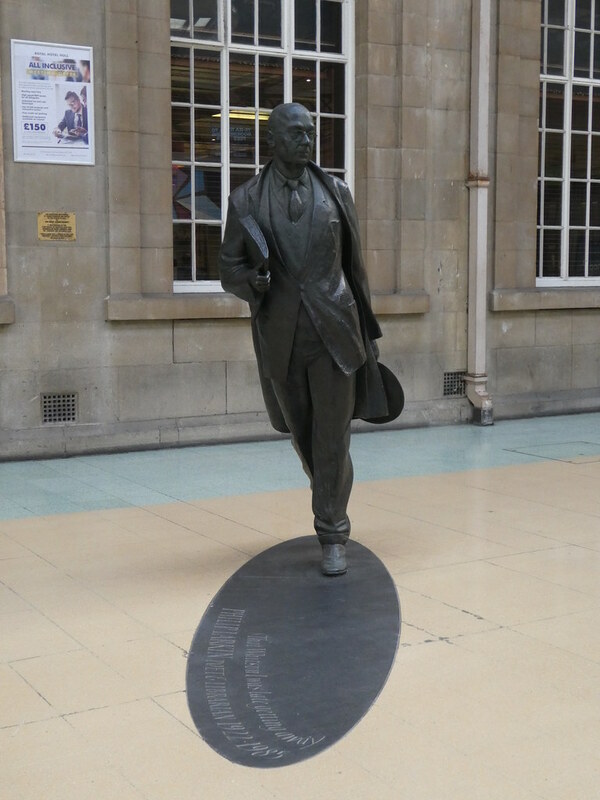 Standing proudly on the station concourse we spotted a 7ft (2.1m) bronze statue in honour of the famous poet Philip Larkin who lived in Hull for over 30 years and was chief librarian at the University of Hull. Paragon Station was mentioned in one of his most famous pieces ‘The Whitsun Weddings’ which starts ‘I was late getting away’. The statue portrays Larkin rushing for the train, with a manuscript tucked under his arm and clutching his trilby hat. It was created by Martin Jennings who also designed the statue of Sir John Betjeman at St. Pancras Station. Leaving the station it only took about ten minutes to walk to the Holiday Inn Hull Marina where we had reserved a room for the next two nights. 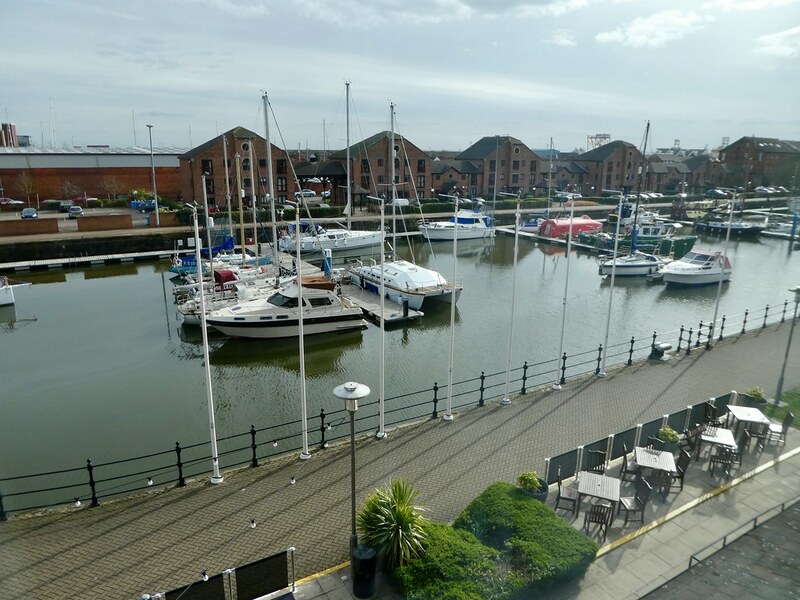 Our stylish room on the second floor had splendid views over the marina and was the perfect location for our weekend break in Hull. After quickly unpacking, we set off for a walk around the marina which is divided into two parts. 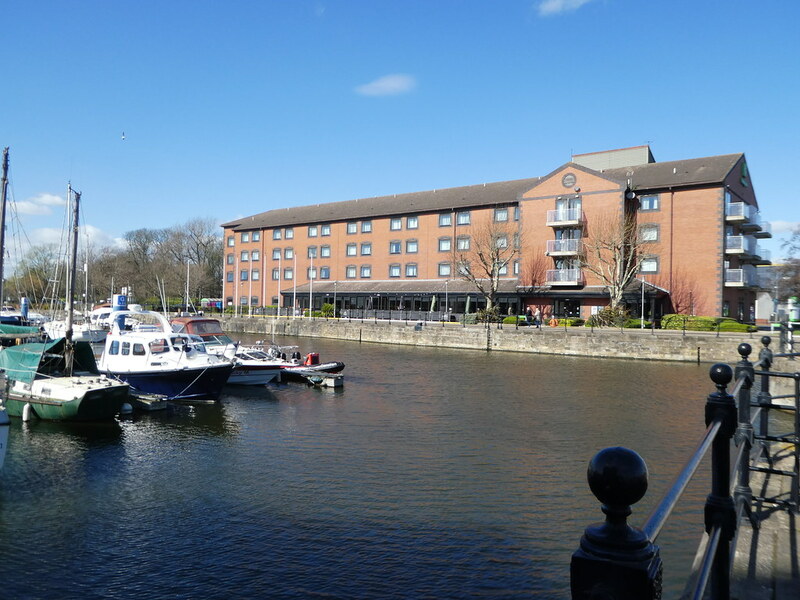 The main marina is known as the Humber Dock Marina which was originally the Humber Dock dating back to 1807. Forty years later a branch dock opened called Railway Dock, now Railway Dock Marina of which our hotel had uninterrupted views. The docks were closed for shipping in 1968 and in 1983 re-opened as a swish new marina with 270 moorings for pleasure boats. Numerous bars and restaurants surround the marina and we called in the Minerva for a beer. The pub, overlooking the River Humber is one of Hull’s oldest, tracing its history as far back as 1829. 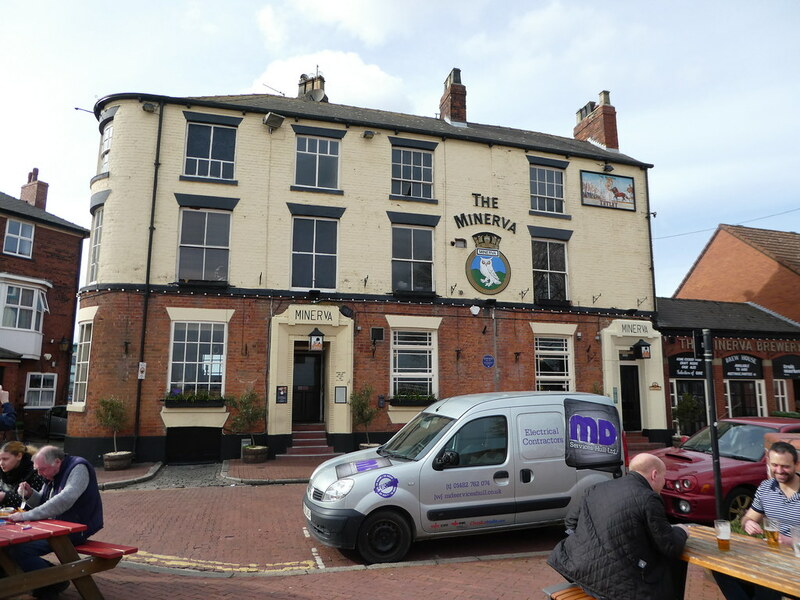 The pub charts Hull’s maritime history with a selection of photos and other memorabilia adorning its walls. 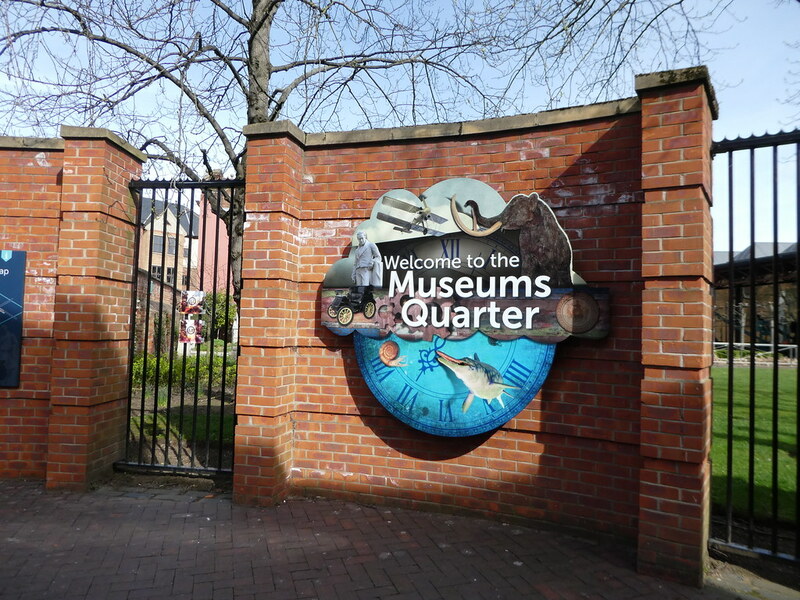 Our stroll continued along narrow cobbled streets to Hull’s old town with its Museum Quarter which is home to a cluster of three museums located around an attractive courtyard. 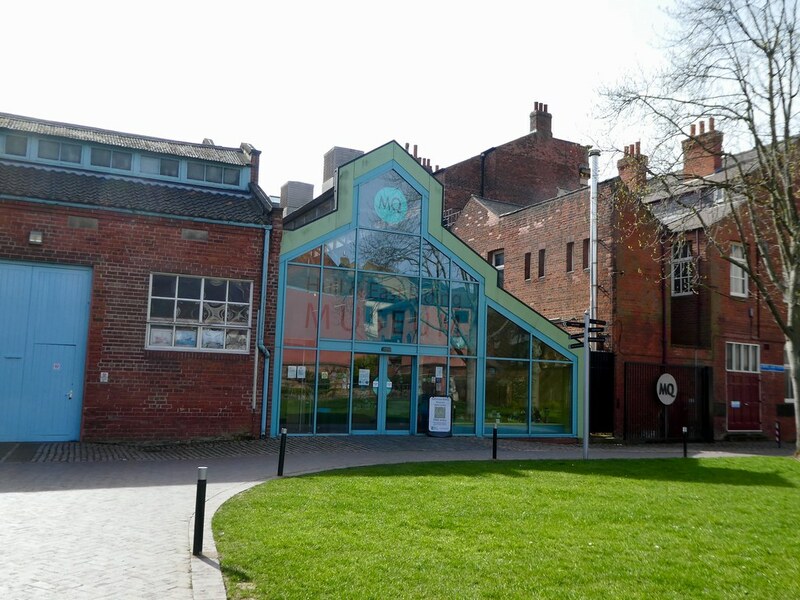 Each of the museums offer free admission and we began with a visit to the Hull and East Riding Museum, an archaeology museum which has a majestic mammoth as its centrepiece. Exhibits include an Iron Age village and a Roman bath house with some exquisite mosaics. Going back outdoors, across the courtyard from there stands the Streetlife Museum, a transport museum and one of my favourites. The museum is divided into six sections with its Street Scene Gallery at its heart. This recreated street is based on a busy, historic high street in the city centre and features old trams and a parade of shops. We looked in an old chemists shop with its dark wooden cabinets and dozens of tiny drawers filled with pills and potions, a cycle shop and a branch of the Hull Co-op from the 1930’s. Other galleries cover bicycles, horse drawn carriages and a re-constructed railway goods yard into which an original signal box had been transported brick by brick and reassembled. 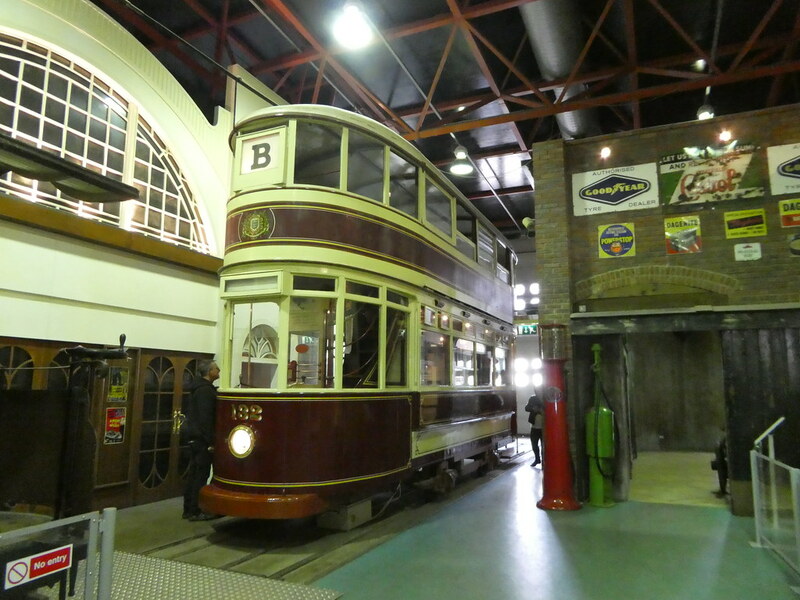 Again, this museum offers free admittance and is a definite ‘must see’ on a visit to Hull. 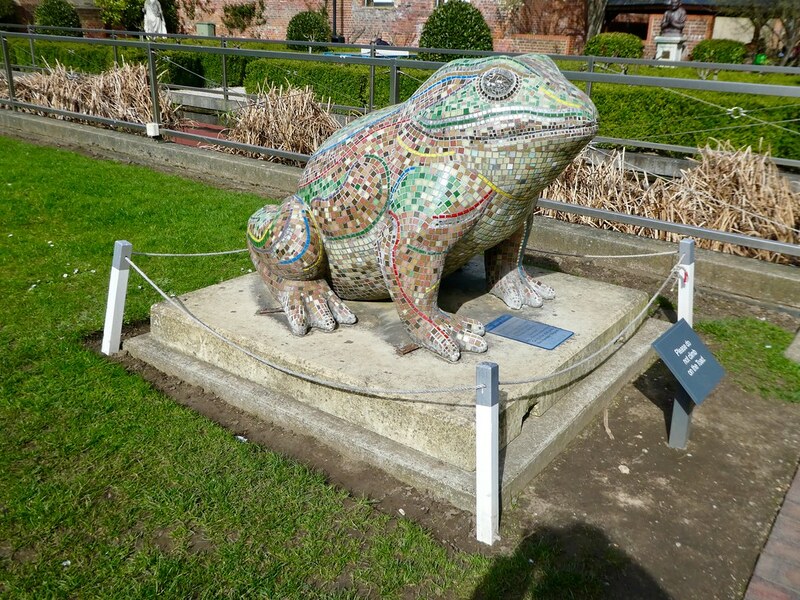 Outside the Streetlife Museum we noticed a giant sized toad and on reading the plaque discovered it was a lasting reminder of Hull’s largest ever public arts project in 2010. During that summer, the city streets were populated with 40 artistically decorated giant toad sculptures commemorating the 25th anniversary of the death of Philip Larkin. His poems ‘Toads’ and ‘Toads Revisited’ provided inspiration for the project. 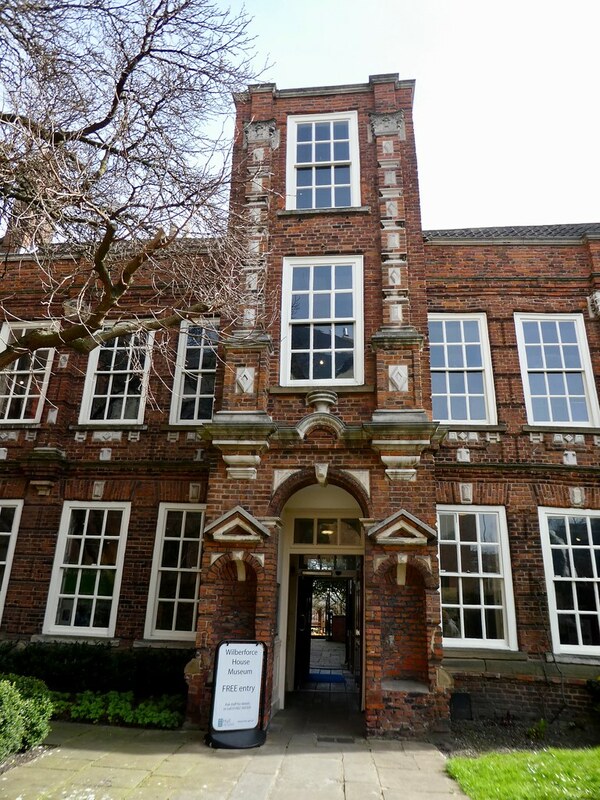 Concluding our visit to the Museum Quarter we visited Wilberforce House the birthplace of William Wilberforce, a famous campaigner against the slave trade. Over two floors the museum tells the story of the transatlantic slave trade and its abolition. The museum also contains journals, costumes and personal items belonging to William Wilberforce and the historic building with its grand staircase is a cultural gem. We’d enjoyed a fun afternoon exploring the old town and museum quarter and were in need of a little rest so we returned to our gorgeous hotel room for a short rest before venturing out once again. We then had an early meal before setting off for an evening at the theatre. Hull is an easily walkable city and lacking hills means that it’s possible to get around fairly quickly. 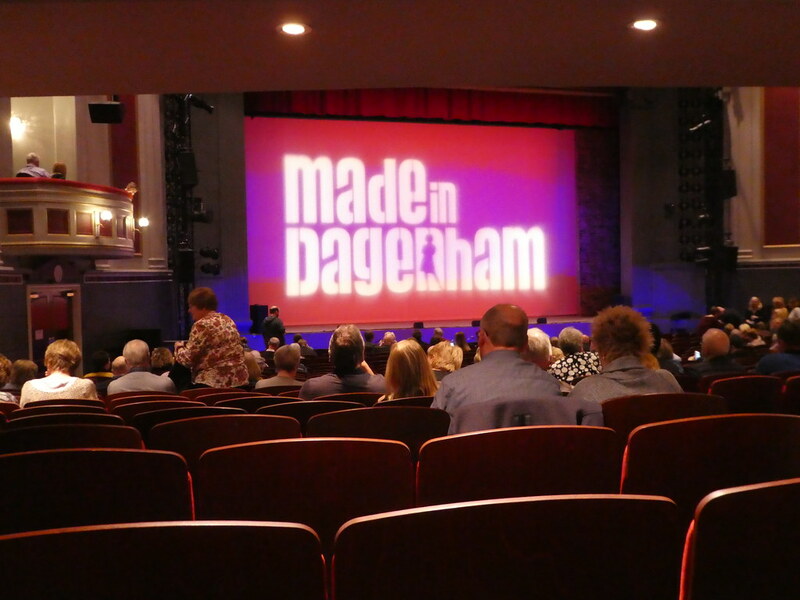 As Hull is a capital of culture it seemed only fitting that we should spend an evening at the theatre and coinciding with our visit Hull New Theatre were staging the final performance of the musical ‘Made in Dagenham’. 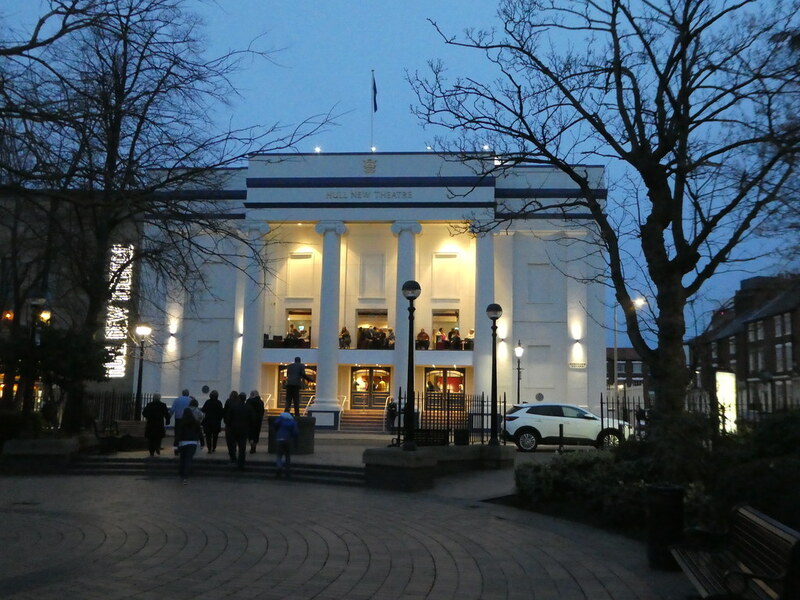 The building was originally the city’s Assembly Rooms back in the 1800’s and became a theatre in October 1939. It closed for a £16m revamp at the end of 2015 prior to the city gaining its U.K. City of Culture status. Set in Dagenham’s Ford factory in 1968 the extremely talented cast from the amateur Hessle Theatre Company put on an energetic, passionate and top quality performance that was as professional as anything I’ve seen at the theatre. The play tells the true story of the women machinists’ fight for equal pay and social reform and is interspersed with high quality vocals. As the play drew to a close, the near capacity audience of well over a thousand were all up on their feet singing along and clapping after enjoying a first rate performance from such a high calibre cast. It was certainly an evening to remember and without hesitation I’d like to return to Hull to see them perform again. Tickets were a real bargain starting at only £10 and details of their future productions can be found here. We were in a joyous mood as we wandered back to our hotel after such a lovely first day exploring Hull. Thank you for taking an interest in this post on Hull. Thank you, Hull was a great place for a weekend break. It looks lovely actually, never thought about visiting but maybe we should! Thank you for taking the time to comment. For some unknown reason Hull receives more than its fair share of bad press but none of its true. I’m sure you would enjoy a visit! Yeah that’s always been my impression of Hull but I love when places prove people wrong! Hi Tracy, Thanks for your much appreciated comments. We did find time to visit all of the above places you suggested and if you are interested, I’ll be covering them in two further posts over the next few days. It’s unfair that Hull gets so much bad press because it’s really such a nice city. I’ve never been to Hull but having read this post I think it would be well worth a visit! That’s so nice to read June. Hull doesn’t get all the attention it deserves and we loved our weekend there! Thanks Suvi, Hull is an interesting place and we were lucky with the April weather. If you enjoyed your time in Hull perhaps you might be interested in my husband’s book called ‘Northern Soles’…by Steve Ankers….a humorous Coast to Coast walk from New Brighton to Hull visiting many interesting places and people on the way. Thank you for your thoughts on my post on Hull. It’s sad to read of your husband’s passing but to know that he followed my blog is so nice to hear. As soon as I have time, I’ll take a look at his book – it sounds to be just my sort of thing. Thank you for commenting Jo. The Streetlife museum was so nice and it was free! 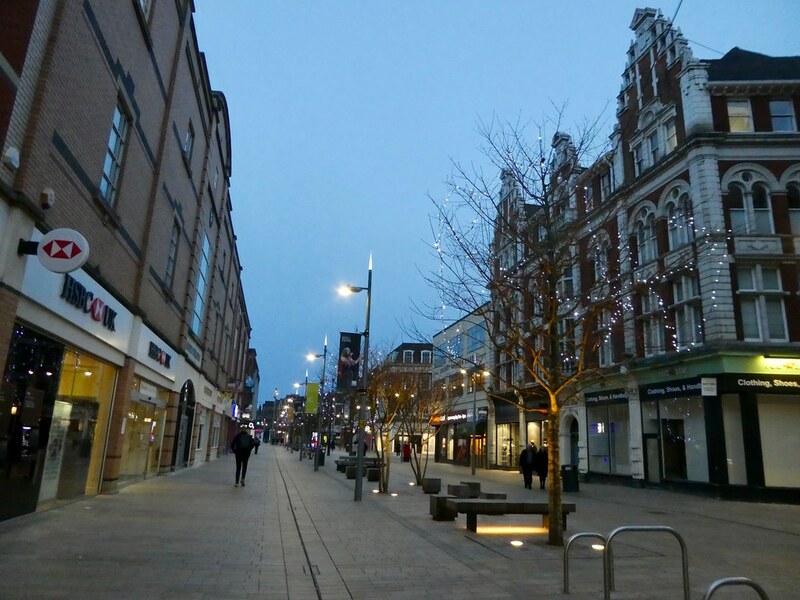 We found lots of lovely things to do in Hull during our three day stay and had gorgeous, if a bit chilly weather! Thanks Stevie. I wasn’t aware there was a Hull in Quebec, perhaps the cities could be twinned! Yes, I was aware of that, but hadn’t heard of the Canadian Hull before. Thanks again for your much appreciated thoughts. I enjoyed my time with your words and photographs. Hull looks like a charming place to visit and experience so much. Thanks for sharing. Thanks for your ever welcome thoughts, Hull is indeed a charming small coastal city to visit. Thanks for your much appreciated thoughts. It’s good to read that you enjoyed this post on my visit to Hull. Ah. My home town. 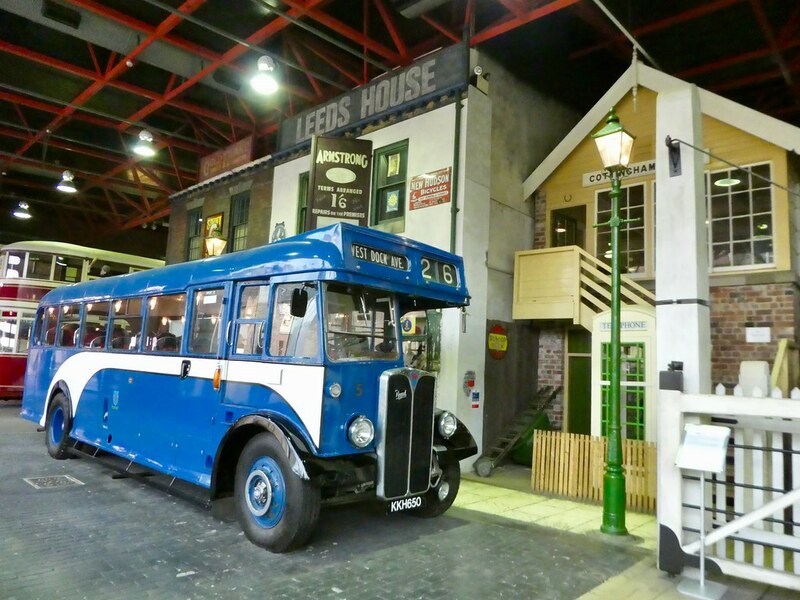 The street life section of the museum probably hasn’t changed since my childhood and I’m 60 now… Glad you enjoyed it! Thank you for your much appreciated thoughts, I do hope this series of posts will bring back some fond memories of Hull for you. We had a great weekend!